Bam Bam has started school! So, I have been trying to keep myself busy and create lots of child friendly, after school recipes. You can guarantee this chicken kiev recipe will be loved. I want to make sure I am making food that will fill the belly of a super active little boy as he embarks on his new journey. 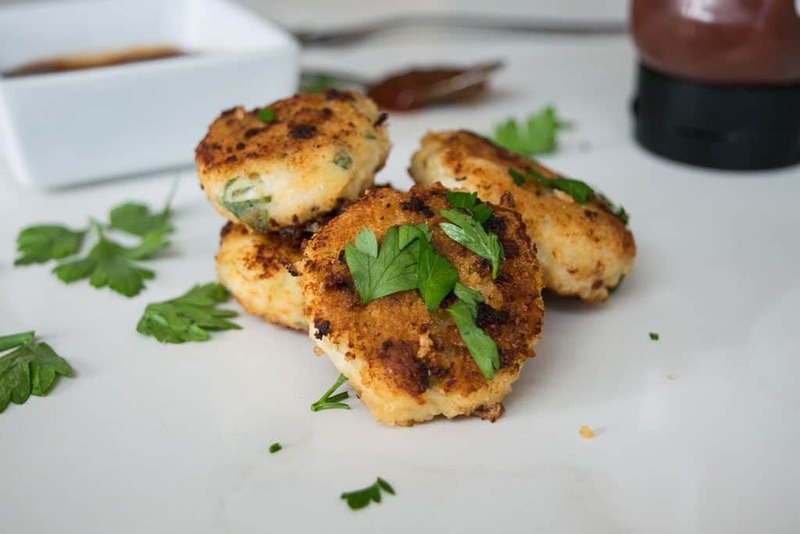 These garlic chicken kiev bites are a real winner with my (not so) little schoolboy. 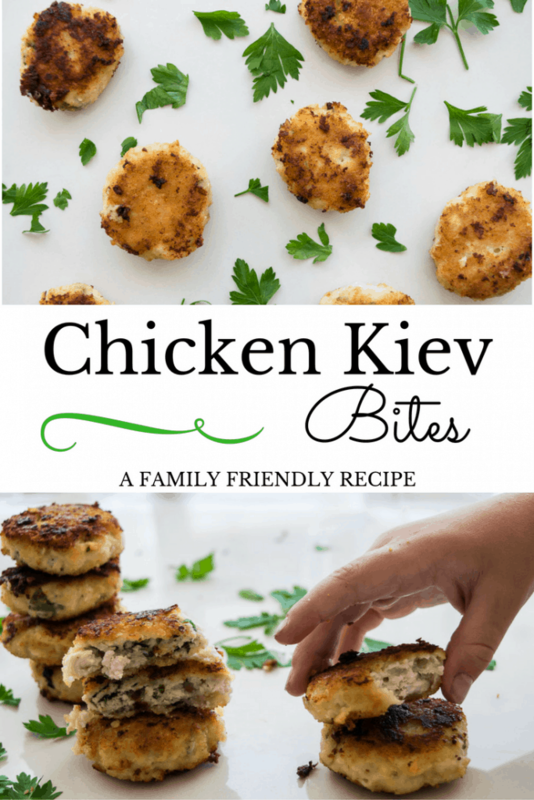 As a little girl, I loved chicken kievs. All that buttery, garlic goodness and crispy coating, who wouldn’t love them?! Served with mashed potato and beans. It’s easy and simple food that’s perfect for the kids to enjoy. However, I found that you wold lose some of the flavour when the garlic butter leaked out. It would leave the chicken a little dry. So, instead of the tradition full sized version. I decided to create bite size nuggets and mix the chicken with plenty of flavour I knew the boys would enjoy them, just like I did. Using fresh ingredients and chicken breast makes them a healthy option for all the family too, you know exactly what they are eating which is something that always plays on the mind of any mum. 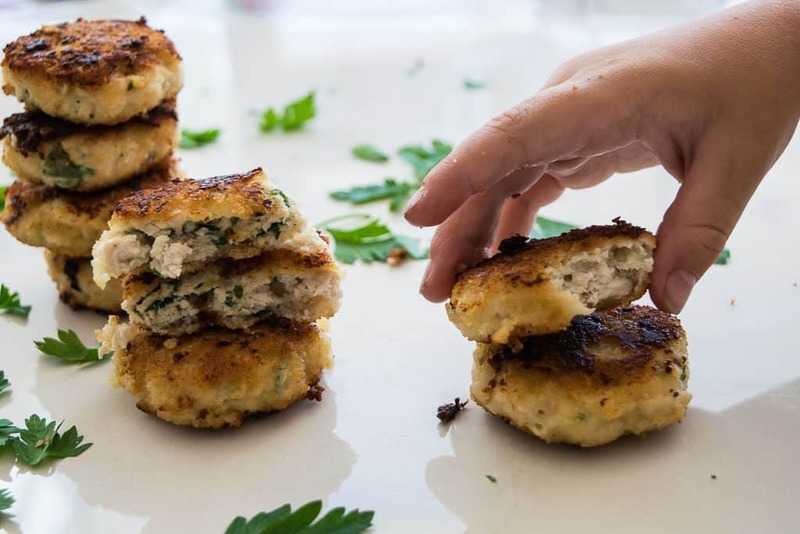 Another great thing about these crispy kievs, is that you can freeze them. 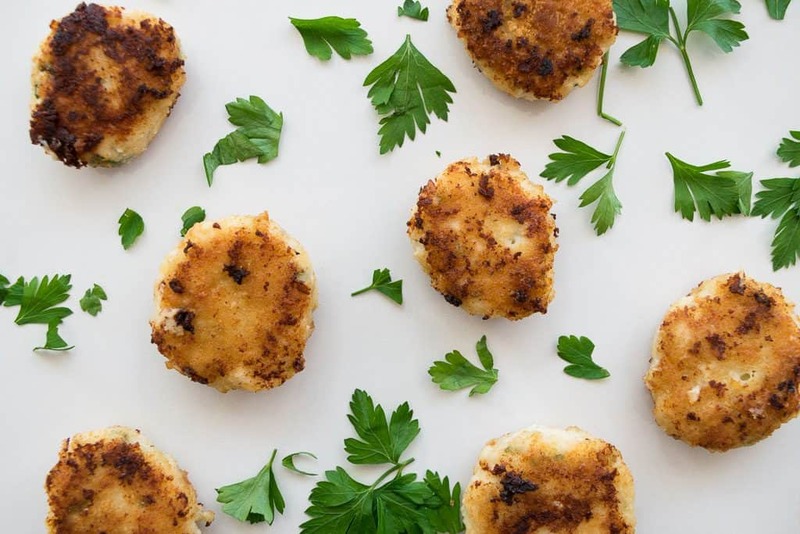 Make a big batch and once you have coated them in breadcrumbs, freeze on a tray and then place inside a freezer bag for another day. They are a quick meal to make and even quicker when you make ahead. Perfect for a hurried meal after school to feed those hungry tums. Place the chicken breast into a blender and process until it is completely chopped and smooth. Crush the garlic and add to the chicken. Finely chop the parsley and add to the chicken. Grate the mozzarella and add. Ensure the butter has softened and add. Mix all these ingredients together. Pick up small balls of the chicken mixture and shape into a ball, then flatten to form the chicken nugget shape. 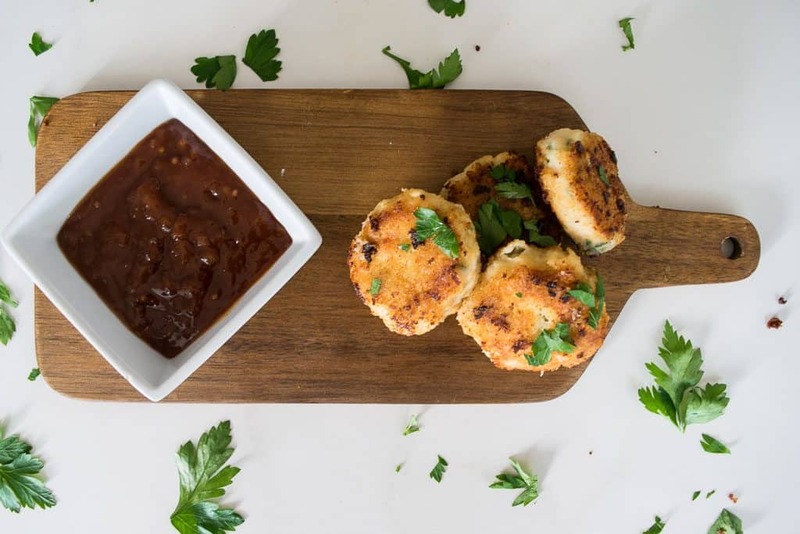 Place the flattened chicken ball into the flour, then the egg and finally coat with breadcrumbs. Heat a little oil in a frying pan and add the kievs, cook on both sides until golden brown and cooked through.